The city of Wrocław (Breslavia), crossed by the River Oder, is known for its market square and the elegant terraced houses that surround it. Very nearby, the historic centre is found, dating to 1875, whereAC Hotel Marriott Wroclaw is located. With a neoclassical style facade, the interior combines history and a modern design, giving the hotel a Premium, stately aesthetic. The company in charge of manufacturing the solid surface fromPORCELANOSA Group, KRION, was Meblomex, with years of generational experience and mastery in the production of furniture. 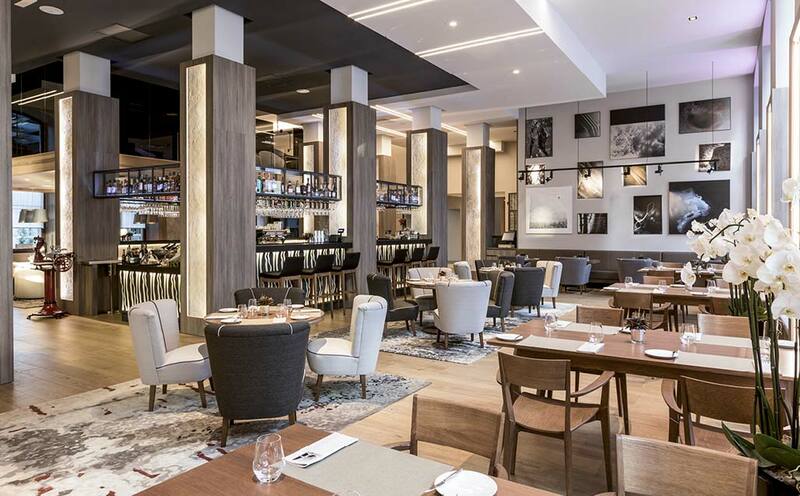 We can find KRION in different spaces of AC Hotel Marriott Wroclaw: the bathroom countertops in 1100 Snow White, and the counter of the Lounge-Bar in 6901 Black Metal.